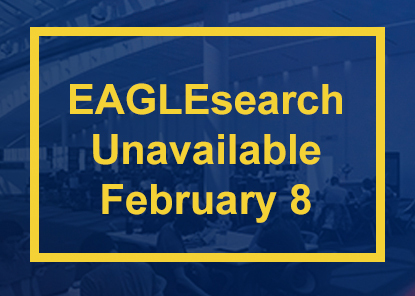 EAGLEsearch will be down for up to 24 hours for migration to a new data center starting on Friday, February 8, at 8:00 p.m. EST. Search the library catalog for books. Search a video collection for videos.